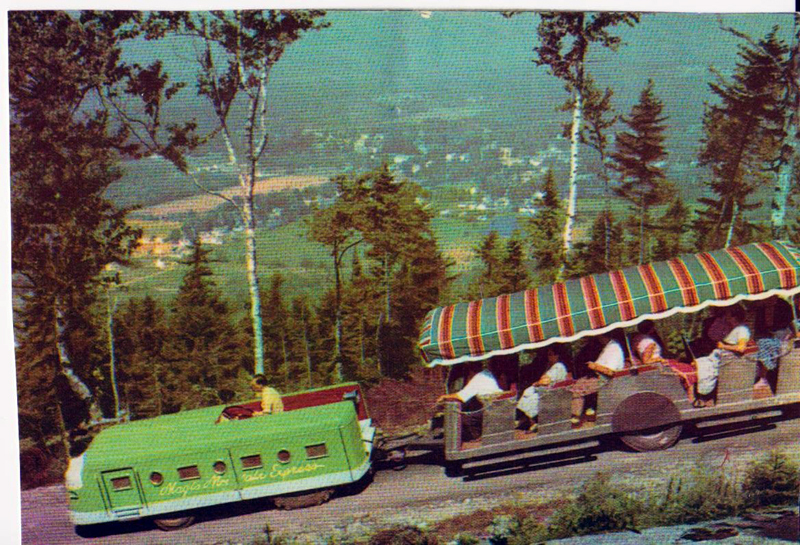 F. Gordon Miller of Baker Brook Cabins and passengers are carried up the mountain by the Magic Mountain Express. In 1894, Mr. Merrow’s attractive photographic studio was constructed on the west side of Smith’s Drug Store,harmonizing with the post office on the opposite side. In 1879, a bridle path for the ascent of Round Mountain and the observatory on the summit was completed by Mr.Sam Varney. This path was broad and smooth and of gentle grade which made it equally easy for horses or pedestrians. The whole length of the bridle path above Mr. Herbert’s clearing was only about fifty rods. Those who preferred to ride in wagons could drive nearly to the entrance of the bridle path. Mr. Varney invited the guests at all the houses in Bethlehem to join in the opening ascent which took place in September 1879. In 1886 a fine road was made to the summit of Mt. Cleveland, (formerly Round Mountain) and a new observatory erected on the top where a magnificent view of the Gale River valley and the surrounding country was obtained. 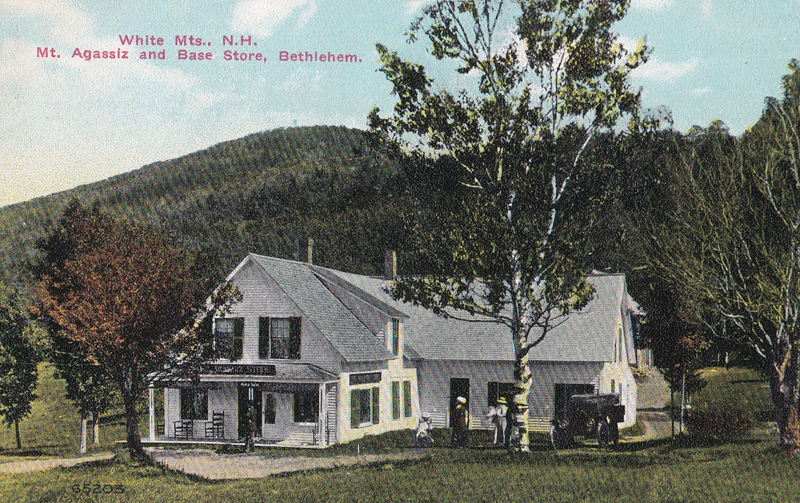 Mr. Varney, the proprietor of Round Mountain,changed the name to Mt. Cleveland in honor of President Grover Cleveland. In the same year, Mr. Varney, being aware of the number of visitors who preferred to travel up the mountain on foot, constructed a fine footpath from the base of Mt. Cleveland to the summit. 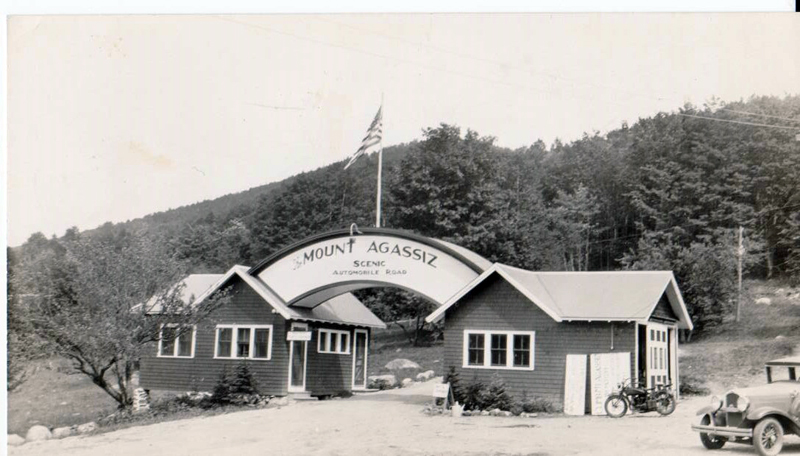 The path branched off the Mt.Agassiz road about one mile from Main street and a turnstile was placed at its commencement for the direction of travelers wishing to visit the top of the mountain. 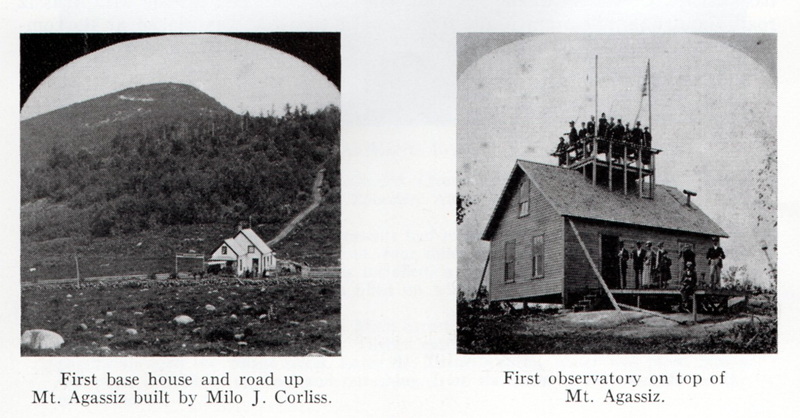 The first observatory on Mount Agassiz, formerly Peaked Hill, was erected by Milo J. Corliss in the 1880’s. Louis Agassiz, the famed Harvard professor, formulated many of his theories on the Ice Age from his research on Agassiz. During the years, it has been an attractive site. 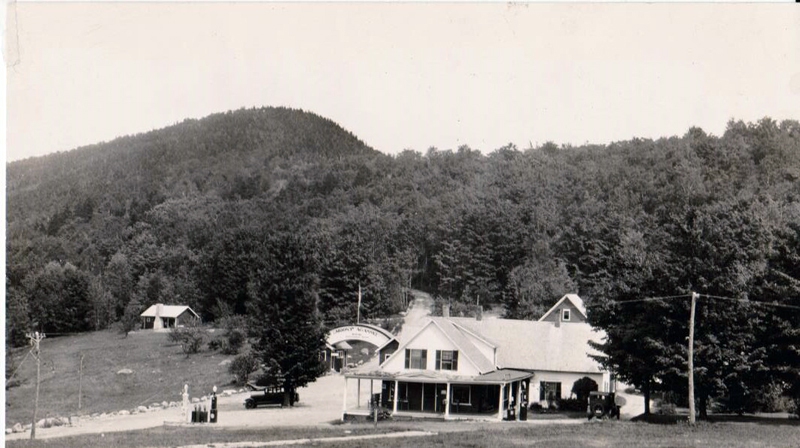 W. S. Phillips and his family ran a gift store, a sugar house,and tours to the mountain top (shown on far right).The Phillips family sold Agassiz to Abraham Polakewich in 1944. 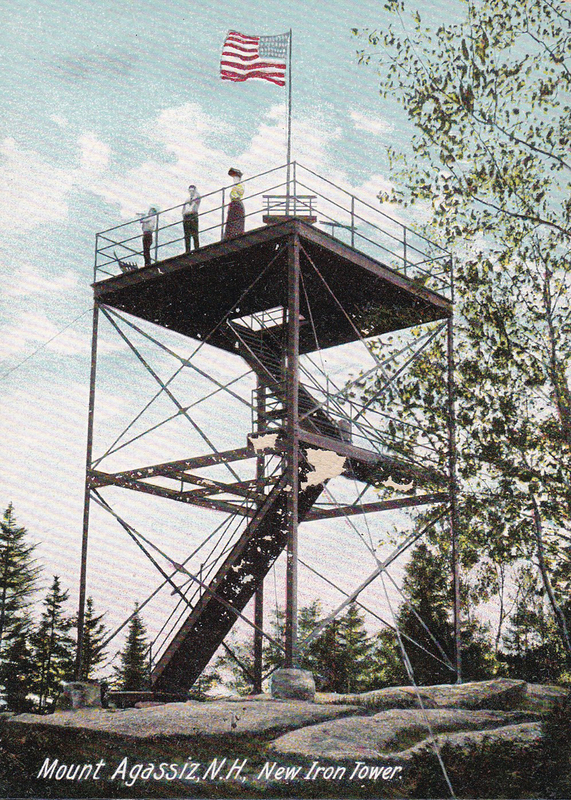 F. Gordon Miller acquired the mountain in the l950’s,improved the Observation Tower and ran his Magic Mountain Express (shown below) . This venture was later closed and in 1973, John Rolli and Richard Reinhold acquired the Mountain and are developing home sites. As a boy I went up on the express but walked back down alone. 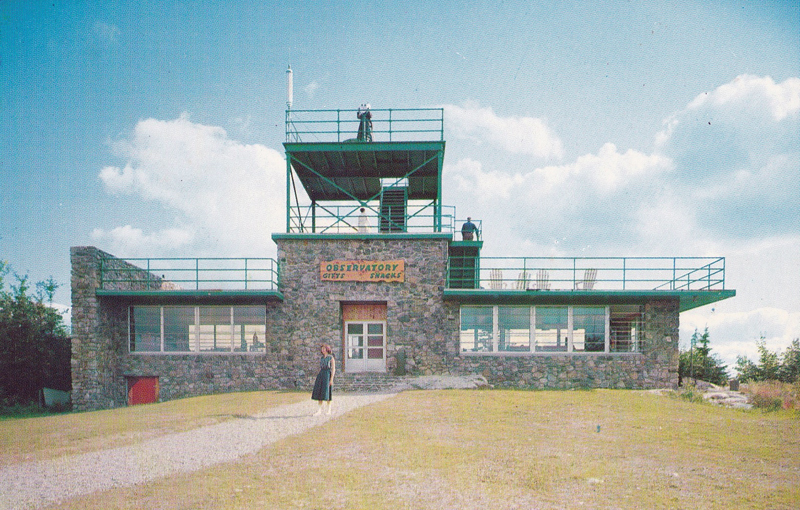 My father had refused to let me use my own money for the telescope on the observation tower. When I got down someone in the store gave me some ice cream. Later I learned they had launched a search party when I went missing.